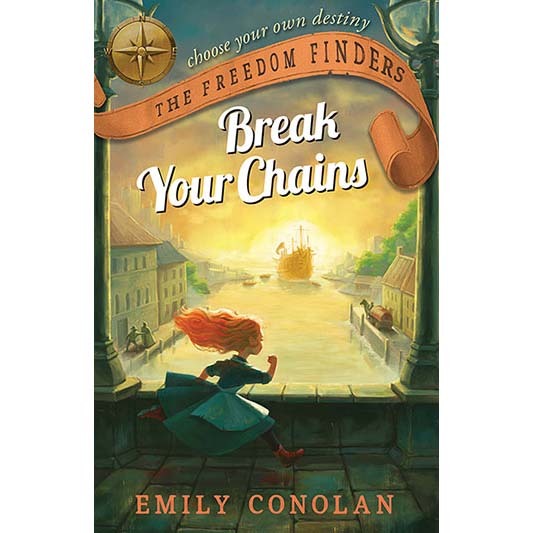 Choose your own destiny and step into the shoes of an Irish girl making her way from London to Australia in 1825 in this exciting interactive series. It is 1825. You and Ma have survived on the streets of London ever since the soldiers took Da away and you fled Ireland. Now, with Ma gone too, you find yourself facing life-and-death choices at every turn. Can you carry a secret treasure across the ocean and finally be reunited with Da? You’ll be asked to betray your friends, survive storms at sea and attacks by bushrangers, and trust thieves.